As Giles has already indicated, I have been enjoying a lecture tour over the last week in Australia and New Zealand. Originally catalysed by the Faith and Wisdom in Science book (which does have some Grosseteste stuff in it), and an invitation from the Theology department of Otago University here in Dunedin – particularly their Centre for Theology and Public Issues (CTPI), it grew into a series of visits to departments of physics, chemistry as well as interdisciplinary centres and theology departments in Melbourne, Aldelaide, Brisbane, Sydney, Queenstown, Dunedin and Wellington. In Australia my host organisation was ISCAST, a network supporting thinking and public engagement of Christianity and science. 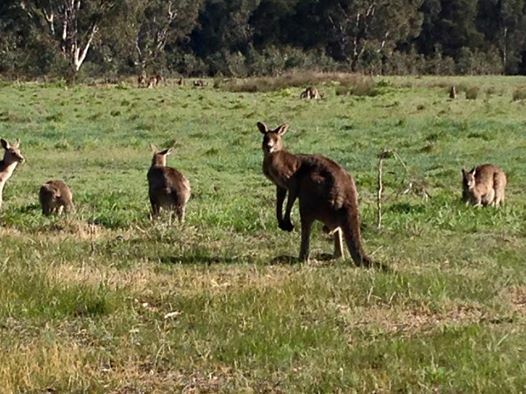 So to prove that I really am ‘down under’ here are some kangaroos spotted on arrival in Melbourne with my genial host Alan Gijsbers, president of ISCAST. 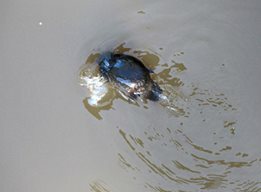 We also saw, at close range, and in the wild, a Platypus (swimming just below us in the Yarra river). I thought this of no consequence (after all, I just arrived in Australia I just saw roos on land, so what do I expect to see in the water? ), but when Alan yelped and grabbed his camera just as the wonderful creature dived I realised that this was not quite normal. In a lifetime this was it turned out the first sighting Alan had ever made of a platypus in the wild. It made me think about the closing stanzas of ‘The Lord’s Answer’ to Job (ch 40) where YHWH draws Job’s attention even further afield than his own sufferings, beyond even the wild side of nature that he knows about (stars, wild donkeys, birds of prey) to the unknown beasts Leviathan and Behemoth ‘whom I made just as I made you’. That in turn might have been understood by Robert Grosseteste, who knew why as a theologian and pastor he had received also the task to explore, sense, re-imagine and conceptualise nature. The extended visit has allowed several presentations of the Ordered Universe project, notably in Melbourne (History of Science), Brisbane (Emmanuel College and CHED centre – Centre for the History of Human Discourses) and here in Dunedin at the University of Otago. The scary poster to the right advertises tonight’s seminar hosted by the Centre for Science Communication at the university. I am very amused to see that it is Robert himself peering over my shoulder. It’s going to be a little disconcerting! But uniformly I have received huge interest in what we are doing. One of the tweets from a participant at the Melbourne event announced to the twitterverse the persistence of ‘warm interdisciplinary fuzzies’ – which I thought was wonderful. And, as usual, the questions have been very stimulating indeed. Common among them is the question of reception. It is so hard to trace the thread of Grosseteste’s work into early modern science with confidence, but incredible to suppose that it is not there. I had the huge privilege of dinner with the amazing Peter Harrison, historian of early modern science, at UQ Brisbane. 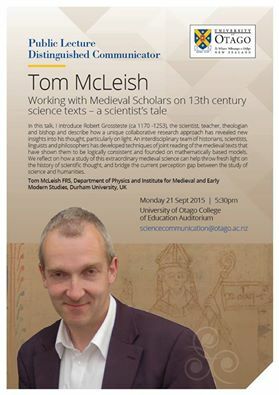 He says about his new book The Territories of Science and Religion, ‘A general theme throughout is the way in which natural philosophy focuses on the acquisition of wisdom as its ultimate goal, and how this conception of the study of nature is eventually eclipsed in the C19th.’ The deliberate dismissal of high medieval scientific scholarship by the early moderns, and its framing in terms of wisdom, is effectively a covering over of the intellectual trail, as well as a narrowing of scope that has led to the current awkward predicament of science. Science has much to give to the Ordered Universe project, but I suspect that, like the scientists themselves, it has rather more to receive. Cf. Rome, Bibl. Vat., MS Chigi A.VIII. 245, f. 16va.